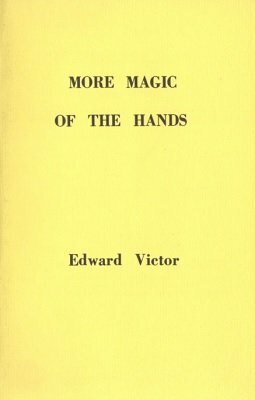 Since many branches of Magic are again represented in this volume, a close study of it will, I sincerely hope, assist the reader in perhaps making some little change, addition or improvement in an existing 'move' or effect in which he may be interested. I have included in this book my method of working and presenting "The Chinese Rings," mainly for those of my readers who have not up to now performed this effect, and who may desire a reliable and effective method of presentation for this "classic" trick. A Move For The "Rising Cards"
1st edition 1942, 1st digital edition 2016, 122 pages.